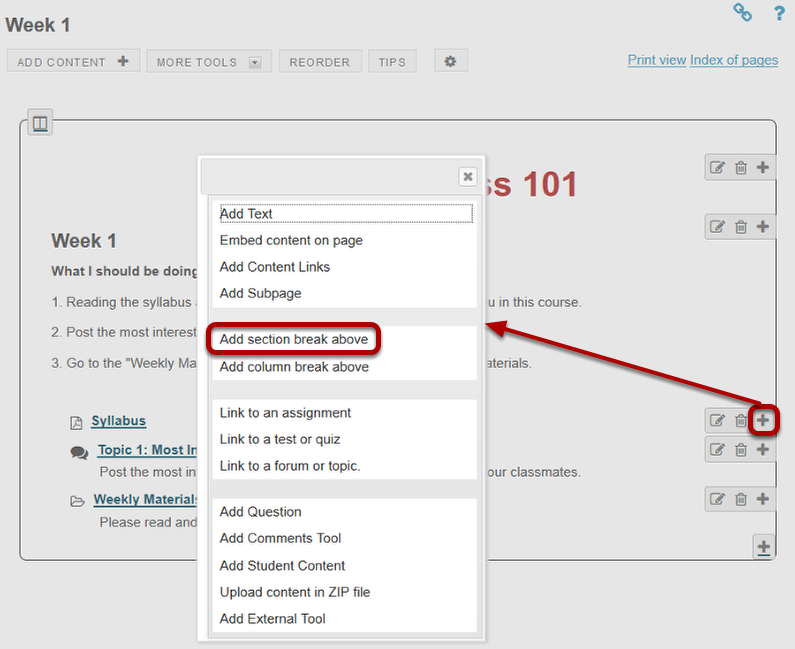 Instructor User Guide LessonsHow do I create multiple sections on a Lessons page? 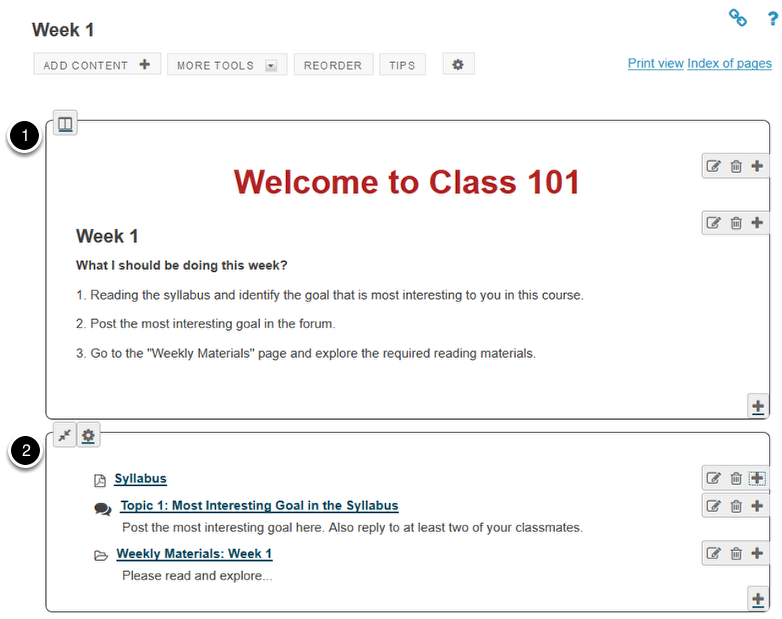 Add content items on a Lessons page. Click an item's + button. Use the + button to the right of the item to which you want to add a section break. This will open the Add menu. Click Add section break above.